Boost your ATAR and achieve success at school! ATAR Master Classes are specialised courses designed to help students maximise their grades and strive for the elite A and A+ scores. Master Classes offer an alternative to our ATAR Tuition Help sessions as they are based on a weekly teaching program. Classes are open to students from all schools who wish to receive in-depth and extended teaching in their ATAR courses. Each week, the teacher will focus on a particular syllabus topic from the syllabus; students will get in-depth explanations, examples with time to practice questions and receive individual feedback and expert coaching from our Master Class teacher. Master Class teachers have a wealth of experience and knowledge to enrich student’s understanding of their ATAR courses. The objective is to maximise student’s success and motivate students to achieve their subject and ATAR goals. Scroll down to find out about more about our Master Class presenters. ✔ ENGLISH MASTER CLASSES: Where a students is at risk of not gaining University entrance because of low English results, we offer a Master Class that covers practical strategies for students that will greatly improve their marks. Robert Hepburn (Year 11 & 12 Chemistry and Physics) – An exceptional teacher who uses a variety of methods and approaches to communicate complex concepts to students. Mr Hepburn has a Combined Degree in Quantum Physics and Civil Engineering and has taught Year 11 and 12 Physics, Chemistry, Mathematics and Biology for over 15 years. Dr O T Lee (Year 12 Mathematics) – Author of Year 11 and 12 text books, including ATAR Mathematics Methods, ATAR Mathematics Specialist as well as Revision Series for ATAR Mathematics Applications, ATAR Mathematics Methods and ATAR Mathematics Specialist, which are used extensively in Western Australian schools. Dr Lee is an exceptional, insightful teacher with wide-ranging experience as an examination marker. Dirk Gildenhuys (Year 11 Mathematics) – A highly experienced and passionate teacher who has taught Mathematics in four countries including ATAR in Western Australia and the International Baccalaureate. Mr Gildenhuys has a Masters degree in Mathematics and was voted Teacher of the Year by students on more than one occasion. He is the author of several Mathematics textbooks and has been the Head of Mathematics in three schools. His teaching style and sympathetic approach has proven successful throughout his career as is evident from the excellent results and extremely positive feedback from students. Annabel Kanakis (Year 11 & 12 Human Biology): An exceptional teacher with extensive experience teaching in secondary and tertiary institutions and marking WACE exams for more than 30 years. She has been involved with the development of the Human Biology curriculum, contributed to the Human Biology Human Perspectives textbook and edited Creelman Human Biology and Biology. Dr Kirsten Lambert (Year 11 & 12 English and Literature) – A lively, engaging and exceptional teacher who uses a variety of practical and theoretical approaches to bring texts to life and unpack syllabus and exam-writing for students. As a teacher with over twenty years’ experience in a variety of teaching fields, she is also an ATAR course exam writer, marker and book author. She is passionate about giving students the confidence and tools to deconstruct, critique and create literature. Dr Roy Skinner (Year 11 & 12 Chemistry and Physics) – An inspirational teacher and a published author of Physics and Chemistry Study Guides. He has a Masters degree in Nuclear Physics and a Ph.D. from King’s College, London in Science Education. In 1999 he was awarded the De Laeter Medal as an outstanding science teacher. Dr Skinner has taught Physics and Chemistry in three different countries and has been the Head of Science in five schools. Jacqui Edwards (Year 11 & 12 Psychology): An innovative, fun and charismatic teacher who delivers engaging lessons. She has an exceptional record for academic success with students, including top performers in the state. Ms Edwards is well equipped to demystify and explain the broad range of Psychological concepts with relatable examples and practical strategies informed by her exam marking experience. Dr O T Lee (Year 12 Mathematics) – see above. Dr Kirsten Lambert (Year 11 & 12 English and Literature) – see above. Course Fee : Term enrolment – sessions equivalent to $60 per hour. 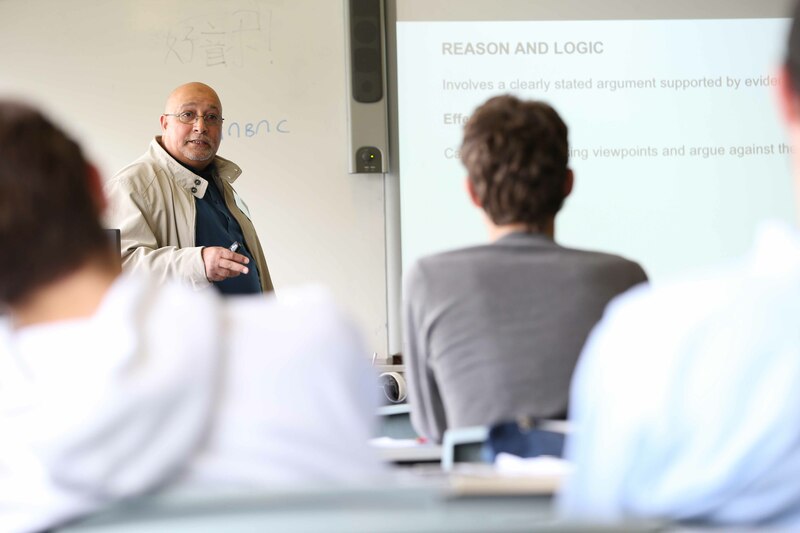 Enrol in 3 or more Master Class courses in the same term and receive a 10% price reduction. Join our Master Classes and get the help you need in achieving your academic goals.